Alex George & Charmaine Cave. The Black Swan was a mythical bird to Europeans until the 17th century when a Dutch voyage under Willem de Vlamingh saw them and named the Swan River after them. The distinctive bird has been associated with the Perth region ever since, appearing on many coats of arms and crests, logos, coins, fine art, labels, sporting items, architecture and countless souvenirs. 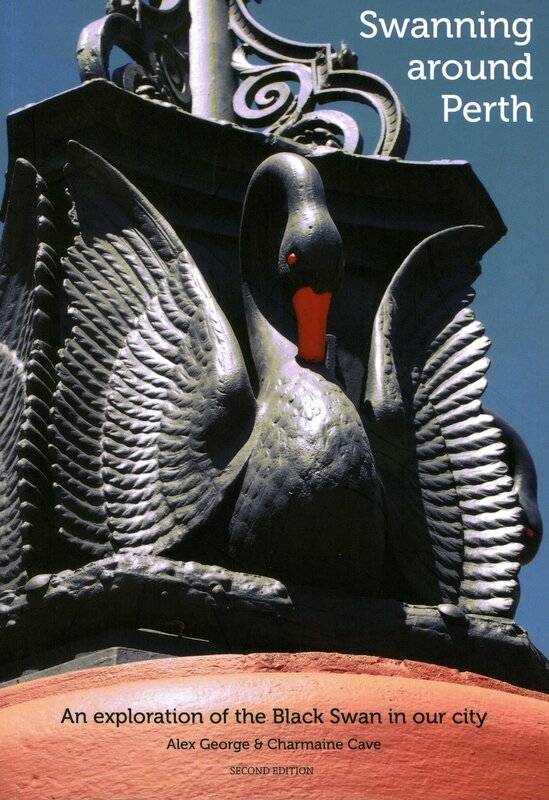 Swanning around Perth is a celebration of our city’s many cultural and historical links with the Black Swan. This second edition includes further ‘new’ and ‘old’ swans. Describes and illustrates Black Swans used in coats of arms, crests, logos and public art. Includes bibliographical references (page 103) and index. 104 pages : colour illustrations ; 22 cm. Black swan -- Western Australia -- Perth. Symbolism in art -- Western Australia -- Perth. Signs and symbols -- Western Australia -- Perth. Public art -- Western Australia -- Perth.